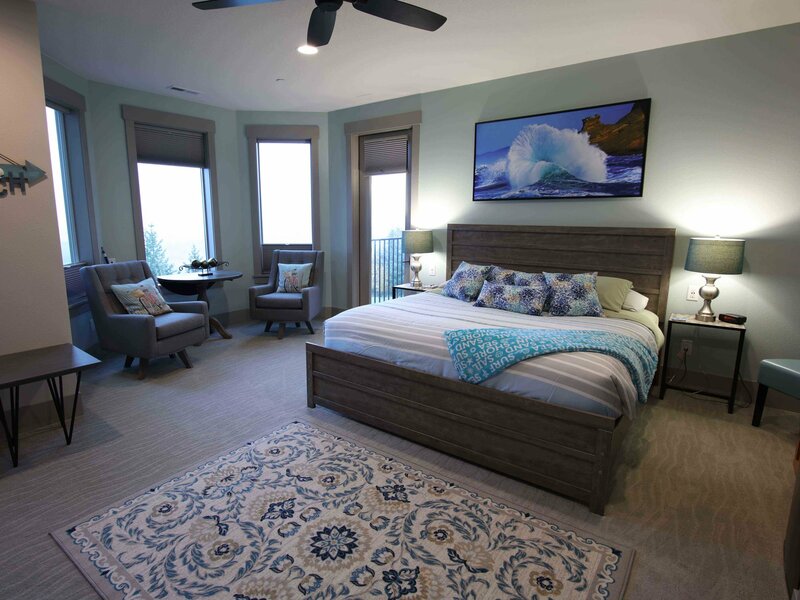 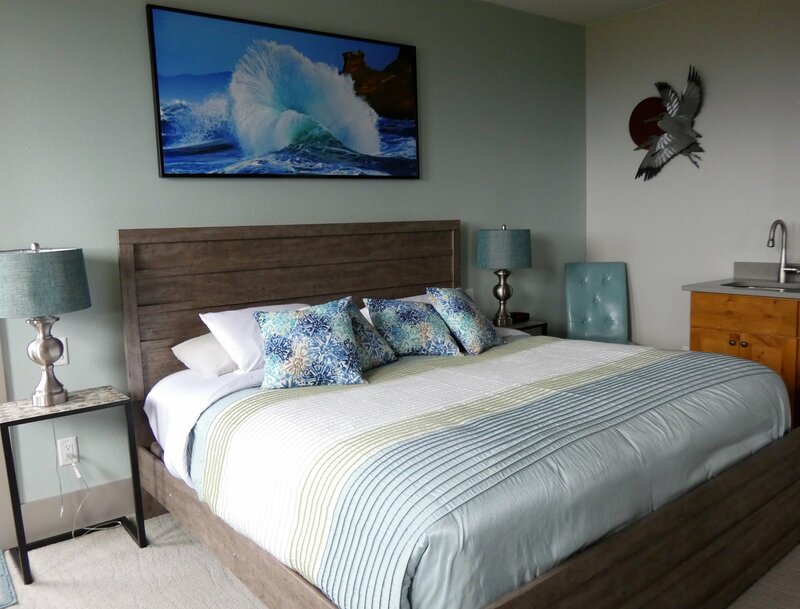 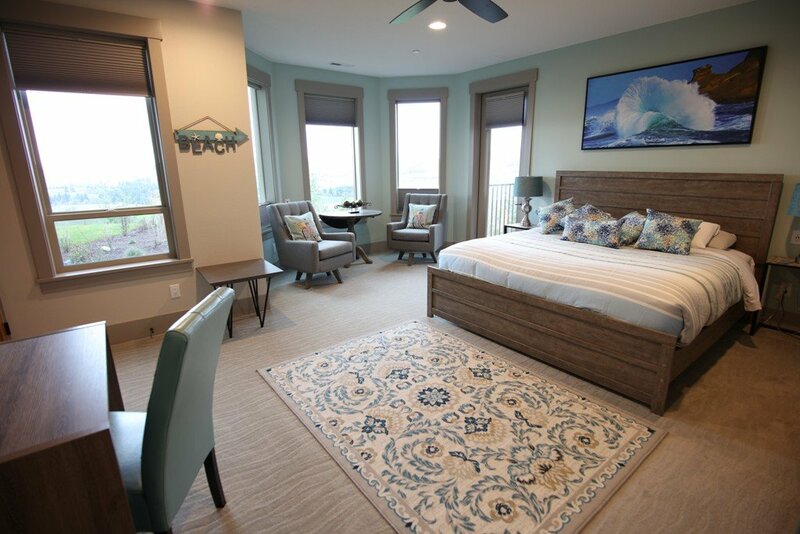 The Kiwanda Suite is our most distinctive guest suite. 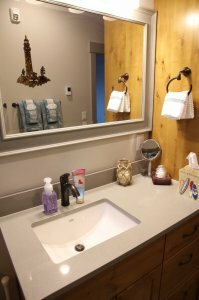 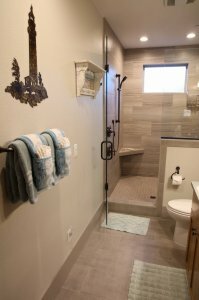 Situated on the lower level at the north side of the house, it is designed to evoke the rugged, beautiful Oregon coast. From headlands to tidepools, there is a special magic where land meets sea. 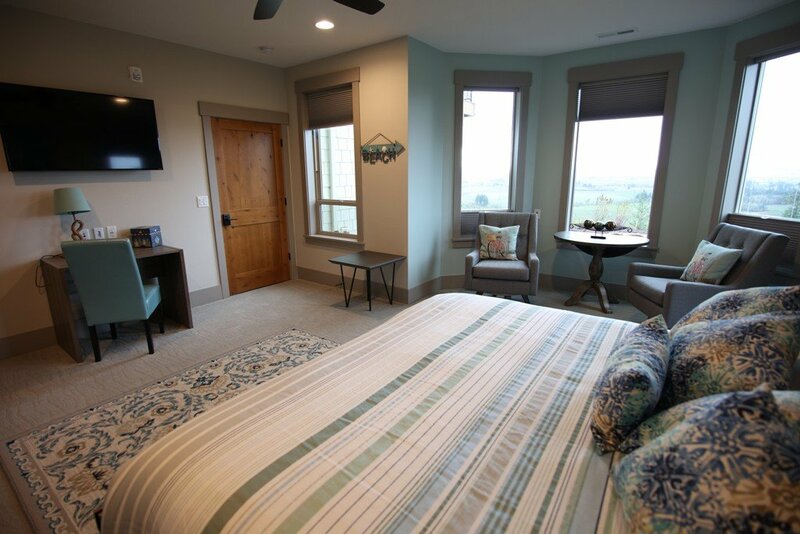 The room features an alcove with table and chairs that is lined with windows to bring the gorgeous views into your suite. 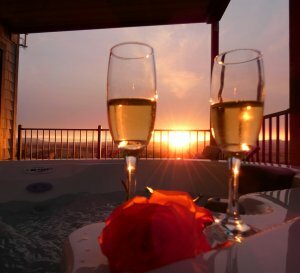 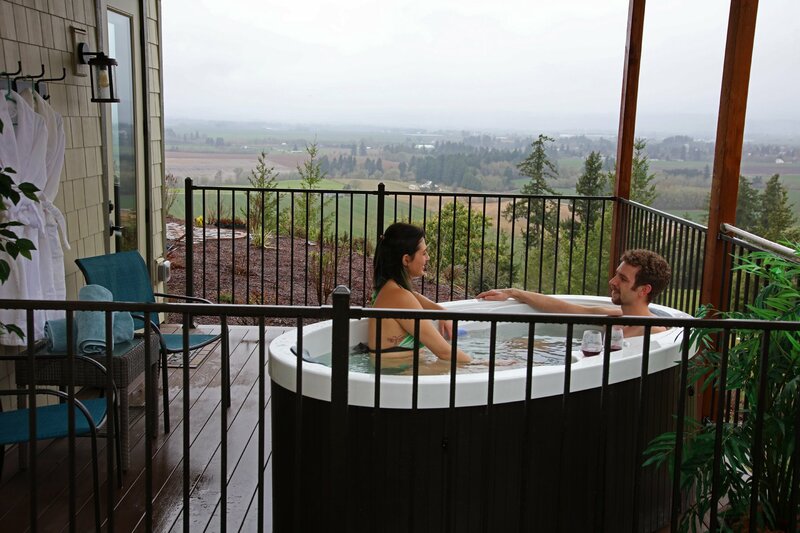 Kiwanda also enjoys the largest private deck of any guest room, including a private two-person hot tub.